If Ellie Goulding’s song was not enough to impress your bae, try to woo your beloved in a new way this Valentines. Plan for a meaty and hearty dinner with your loved one. Food and love go hand in hand. As it is all about celebrating couple love, let us serve that perfect meat or seafood pairing for your partner. You can indulge into some great meat or seafood pairings at home at your own comfort and privacy. You can cook something for your loved one and make it more special. Even better, if both of you can spend some couples’ quality time in the kitchen together. So, for those who are enthusiastic to do a meaty cook-up, Licious will help you to do so. When two people are in love, they develop a strong bond. Similarly, the bond of meat and seafood with its pairings is eternal. Meat or seafood pairings must elevate the dish in terms of freshness and lightness. So, why not try out the various pairings for your Valentine’s day dinner date? Meat and sauce are made for each other. Sauces and chutneys have always made an integral pairing with meat in Indian cooking. From traditional sauces, such as a yoghurt sauce for Chicken Makhani, mint chutney for Lamb Chops or mustard sauce with Baked Salmon to the modern ones, such as Chimichurri and Hollandaise, sauces bring out the best in the meat dishes. A good meat dish is incomplete without a great sauce. If your bae likes it to be saucy, go ahead. Choosing vegetables to pair with meat is like choosing gift for your Valentine. The vegetables must not overpower the flavor of the meat. It means, in this relationship, vegetables must not dominate over meat. There is a wide variety of vegetables served as meat pairings. When it comes to seafood, you can serve roasted fish with potato croquettes or Basa with tomatoes. You can also make grilled chicken with carrots and onions, fish with green peas, roasted lamb with turnips, roasted chicken with cauliflowers or quails with mushrooms. Chicken and Vegetable Saute is a comfort food for most of the people. Try preparing our Creamy Afghani Chicken with spinach; you and your loved ones will relish it. Your Valentine’s day dinner menu is incomplete without wine. Wine is one of the most widely used meat pairing. The simple way of choosing the correct wine for the correct meat is that the tannin present in the wine must cut through the fat and bring out the best flavors. White wines are paired with white meat and red wines are paired with red meats. Try Chardonnay with chicken, salmon, quail or a turkey. And serve red wine, such as Pinot Noir with a Tandoori Chicken or a Rogan josh. Meat and wine are a match made in heaven indeed! Oregano, thyme, rosemary, parsley, coriander, chive, basil; all are in love with meat and fish. Herbs have an age-old relationship with meat and seafood. The freshness and the aroma of the herbs complements the meaty flavors. Add some fragrant rosemary to the baked salmon or some sage to the turkey and see the magic. Hence, if you want to show some herbal love this season, go for meat and herb pairings. Instead of chocolates go with cheese on this Valentine’s day. Meat and cheese together work wonders for the palate. The cheese must complement the flavor of meat. And, the texture of the cheese must provide a contrast to the texture of the meat served in the dish. Goat cheese or ricotta is one of the favorite meat pairing among all. You can prepare baked ricotta chicken breasts for Valentine’s dinner. Soft mozzarella with salami, smoked turkey with blue cheese, sausages with cheddar, parmesan with cooked sausages or a roasted chicken breast; just say cheese with meat. Or, you can simply sprinkle some cheese on the lamb steaks and relish it. After all, its all about the correct Pairing! 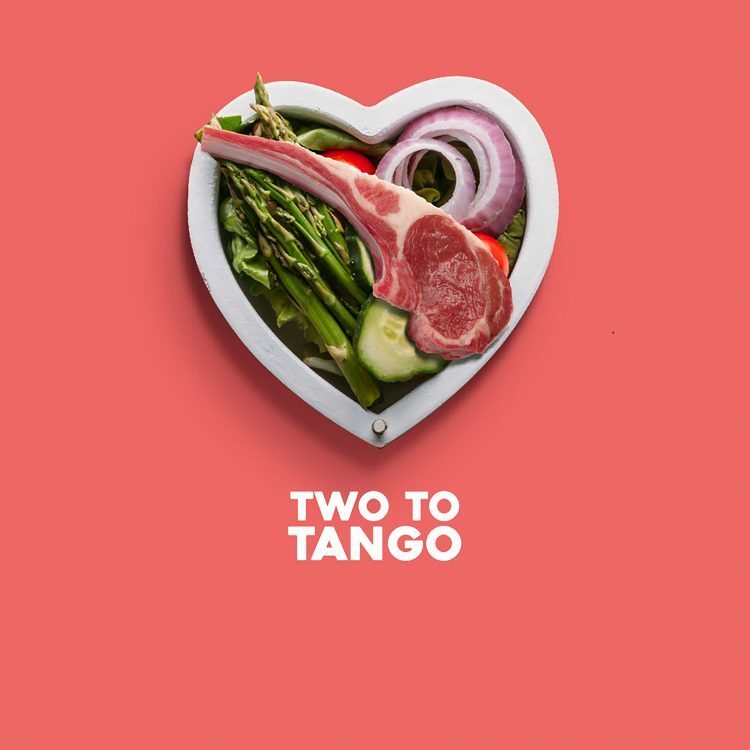 So, make your loved ones fall in love with meat pairings this Valentines’ day. We assure you that you will impress your loved ones, as you have made it from your heart and soul. Licious also has a strong bond of love with meat and would like to share it with you. Order your favorite meats and seafoods at Licious and get ready for the romantic dinner. Check out our Valentine’s Day Offers. I m a regular perchaser of ur MEATS…but today i purchased Lamb Meat n i was disappointed…ur butcher hs no knowledge of HOW TO CUT PIECES…n there was hardly any meat left to eat..
Dear Inder, we regret that the product ” Premium Lamb Curry Cut ” you received was not satisfactory. As discussed on the call, we shall certainly share the feedback with our Quality Assurance Team regarding the cuts of the meat. However, we would also like to inform you that this product is designed to consist of 70% Bone-In and 30% Boneless pieces as per the popular customer demands. This specification is also mentioned on our website. We recommend you to place orders for ” Lamb Shoulder curry cut ” and ” Lamb leg boneless ” and you shall be able to enjoy the meatier pieces. We look forward to serving you better for your future orders. Are your meat Halal cut ? Plz confirm. What is the slaughter method. Dear Sajid, We would like to assure you that all our meat products are 100% Halal cut. We are licensed operators by FSSAI and according to the guidelines, we display the Halal logo on all the product packaging. Our License # is 10017043001721. FSSAI performs regular audits to ensure we deliver what we promise to our customers.